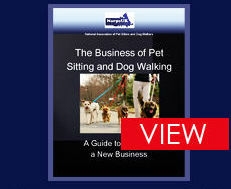 Are You Considering Starting Your Own Dog Walking Business? Are you worrying because you are not sure if you have thought of everything that will be involved? If you're thinking about starting your own dog walker business but don't have any experience in walking dogs then a good place to start is to tell your dog owning friends and family about it and ask if they would consider using your dog walking services for free to enable you to gain experience, alternatively ask your local boarding kennels if you can help with the dog walking for free, they are usually very happy to have extra hands to help out. No pet owner will want their dog to be the first that you walk so once you start your business you can then genuinely and honestly tell dog owners that you do already walk dogs. If you are going to run you own dog walking business then pet sitting insurance is a must, if a dog gets lost or bites someone or is attacked by another dog the first thing the owner is going to be looking for is to claim against you. NarpsUK offers its member's discounted insurance that covers all aspects of pet sitting, dog walking and house sitting including horses and farm animals. You might be a real dog lover and think that this is ALL that matters, it's not, without some basic organisation skills and business skills your new dog walking business cannot survive, you will need to consider a business name, a business bank account, a website, keeping financial records. Organisations such as Business Gateway (in Scotland / Business Link in England) provide help & support with all these things for free, both online & via local seminars & workshops. You will need to have the right paperwork in place for your clients, a service contract is a must if you don't want to incur stressful problems in the future and there are many other forms that you will need to get filled in and signed by the client for example Veterinary Release Forms, Booking Form, Report Card, Key Release Form and many more - NarpsUK supplies all the forms and contracts you will need for your dog walker business and these have been drawn up by a contract solicitor. If you are holding your client's keys for dog walking, you will need to get a basic disclosure Criminal Record Check carried out, you can apply for this online yourself from Disclosures Scotland for ?25.00. Once you have this you can reassure your clients that you have no unspent criminal records against you. There is a lot more to running your own dog walking business than just putting a lead on and walking the dog so consider taking a Dog Walking Business Course taking an accredited course and holding a certificate or qualification will not only inform you of everything you need to know about running your dog walking business but also install confidence in your future clients. In the meantime buy some books about dog walking to give yourself a good insight into what exactly is involved, you can buy used ones very cheaply on Amazon. Dog owners are looking for someone they can trust when they seek out a dog walker; they want openness, transparency, reliability and commitment. You will need fairly good communication skills because although you know that you have all of the skills & qualities required and have a great love of dogs, a new client will not know this and will be sceptical until you can put their minds at rest by showing them that you have a good reputation with great customer feedback. Make a folder that will contain your insurance certificate, your home boarding licence if you offer home boarding as a service, your criminal record check certificate, any training course certificates you hold, your membership certificate to a Trade Associaton - NarpsUK and of course some customer feedback as well as some photos of the dogs you have serviced.